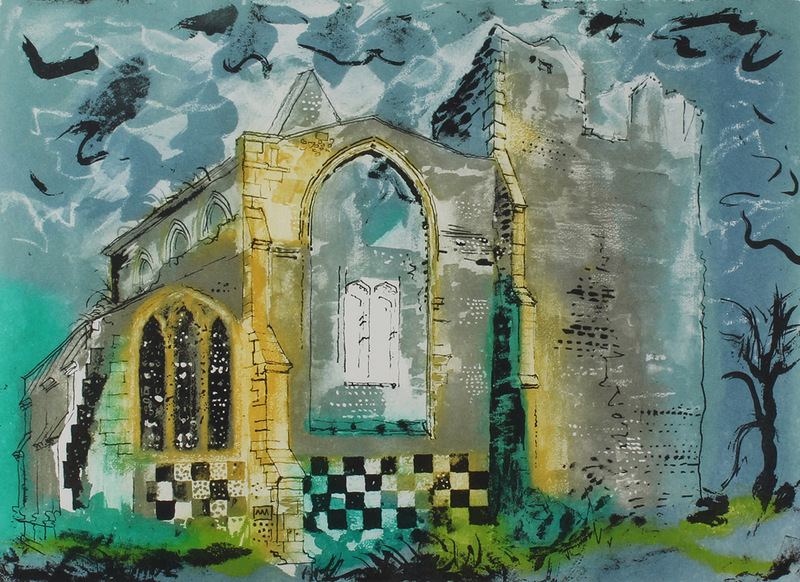 John Piper 1903 – 1992 was an English painter, printmaker and designer of stained-glass windows and both opera and theatre sets. 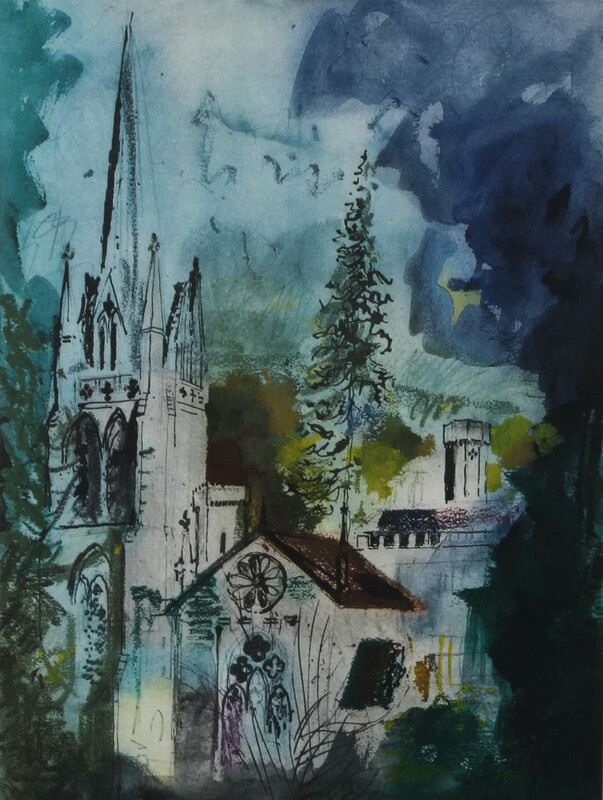 His work often focused on the British landscape, especially churches and monuments, and included tapestry designs, book jackets, screen-prints, photography, fabrics and ceramics. He trained at the Richmond School of Art, followed by the Royal College of Art in London. 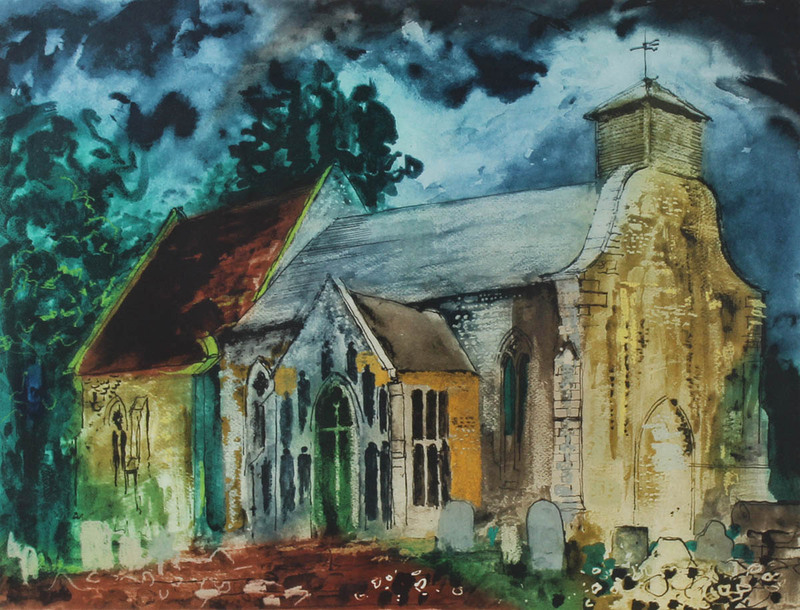 He was an official war artist in World War II recording bomb-damaged churches and landmarks his work has been acquired by several public collections.